Rumours about Spotify’s impending debut in the Middle East and North Africa (MENA) have been bubbling for weeks. Today, the streaming service launched in 13 countries in the region. 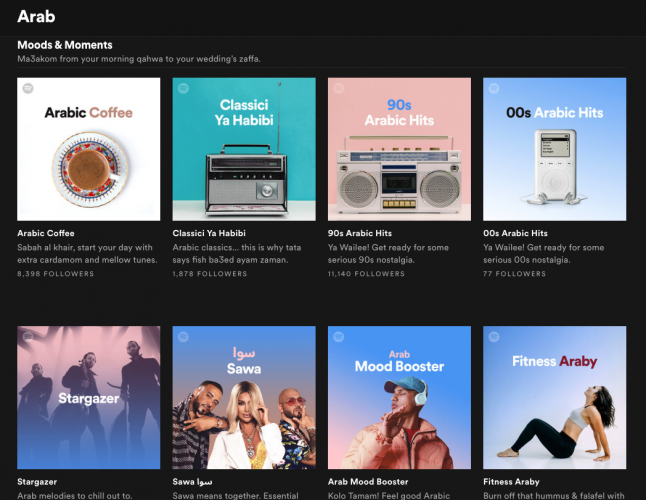 Spotify’s free and premium tiers are now available in the United Arab Emirates, Saudi Arabia, Kuwait, Oman, Qatar, Bahrain, Algeria, Morocco, Tunisia, Jordan, Lebanon, the Palestinian Territories and Egypt. The price of a standard Spotify subscription in the MENA region is notably cheaper than in many western countries: it’ll cost 19.99 a month in the local currencies of Saudi Arabia and the UAE ($5.33 and $5.44 respectively; EGP 49.99 in Egypt ($2.78); and $4.99 in the other countries. Spotify says it is launching with “dozens” of locally-curated playlists, along with fully-localised mobile and desktop apps, in terms of right-to-left language script. The service is also launching an ‘Arab Hub’ today to gather Arabic music for its global audience, sitting alongside its existing Latin and Afro hubs. “Spotify is launching in MENA with a full Arabic service, dozens of locally-curated playlists for every mood and moment, and access to a full catalogue of millions of songs, for both our free and premium users,” said global head of markets Cecilia Qvist in a statement. Spotify had already launched in Israel in March this year. 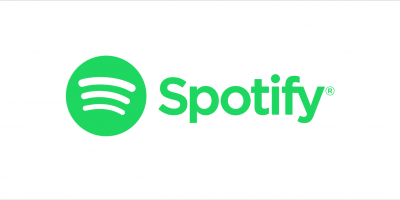 Spotify’s Middle East and Africa MD Claudius Boller and EMEA MD Michael Krause spoke to Music Ally ahead of the launch, to outline the company’s strategy and ambitions for the region. “It’s very exciting for us because the region is very young in terms of age: half of the population is below 24 years old,” said Boller, who added that Spotify has built a team for MENA drawn from across the region. Krause said that the Arab Hub will also be important for bringing music from the MENA region to a wider audience. MENA is something of an unknown territory for the global music industry, however. None of the 13 countries where Spotify is launching today were tracked in the IFPI’s 2017 Global Music Report, so they were not included in its table of the world’s top 59 recorded-music markets. Research firm Midia Research published some figures earlier this year, in its Emerging Music Markets: Streaming’s Third Wave report. It suggested that the Middle Eastern streaming market generated $24m of recorded-music trade revenues in 2017, based on around 50 million free users and 1.3 million paying subscribers. The region already has a number of music-streaming services competing for listeners. Local player Anghami says it has more than 70 million listeners across the region, for example. Apple Music has been there for some time; and Deezer recently debuted in MENA backed by a $185m funding round including investment from Saudi fund the Kingdom Holding Company and media group Rotana. Deezer has an exclusive deal with the latter’s Rotana Records label subsidiary in the region. Krause and Boller declined to discuss specific rivals, preferring instead to pitch Spotify as a competitor for piracy in the MENA region. Pricing will be key, in a region with a wide range in terms of wealth: Saudi Arabia’s GDP per capita was $54.8k in 2017 according to the CIA World Factbook, while Lebanon’s was $19.4k, and (albeit in 2014) the West Bank – part of the Palestinian Territories – was just $4.3k. Egypt aside, the price Spotify has come up with is around half the cost of a subscription in most of its developed markets. “We’re taking many factors into account, including a discussion with the labels, who we see as very strong partners in the region,” said Boller. “Of course, we look at the competition, just to understand the pricing. But we are looking for the price at which it’s sustainable.” He added that Spotify will be carefully monitoring market research to understand how its price is being received. Spotify will also be working with partners in the region. When asked, Boller mentioned the company’s global deals with companies like Samsung and Microsoft (with its Xbox One console) as well as global advertising partners like Mercedes and Coca-Cola. The company doesn’t have anything to say yet about potential telco deals in the Middle East and Africa, but they could be very important to its growth in the region. 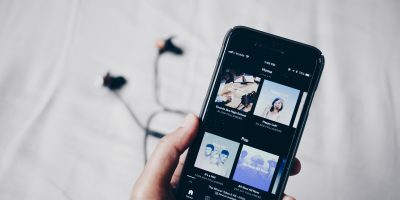 The Midia report noted that Anghami has partnerships including a trial bundle with du in the UAE; a zero-data deal with Mobily in Saudi Arabia; and bundles with Vodafone and Etisalat in Egypt already, including the option for Egyptian listeners to pay for daily access via their mobile bills. Boller and Krause also declined to comment directly on Deezer’s exclusivity on Rotana Records’ catalogue, and whether that’s a headache for Spotify in the MENA region. “We don’t want to comment too much on their activity. For our side, we did an assessment with the content we have licensed, and we feel very confident there is more than enough to win a lot of fans for Spotify in the region,” said Boller. Krause, meanwhile, cited Spotify’s wider corporate belief that “exclusives are not good for artists and fans in our opinion“. While that’s an argument the company will undoubtedly be making to Rotana behind the scenes, for now it means that catalogue will be missing from its service. For the music that is on Spotify’s platform, there could be another sensitive issue: censorship. From the Egyptian government’s run-ins with YouTube to laws in Saudi Arabia punishing “content that ridicules, mocks, provokes and disturbs public order, religious values and public morals through social media”, through to laws on (for example) LGBT rights, there are challenges for any global entertainment service launching in the MENA region – especially given the differences in laws and attitudes between and within its countries. In other parts of the world, Spotify has stood behind causes relating to freedom of speech and human rights – “Not everybody likes everybody’s opinion, but we fundamentally believe that allowing that opinion to be free, just as we believe in allowing artists to travel freely, really supersedes everything else,” said its then-CMO Seth Farbman earlier this year. How will initiatives like its Pride hub, which celebrates the LGBTQ+ community, translate to the Middle East? “We have to respect the local sensitivities. We have our own editorial team, we hire people who know this region very well. But we have made our whole catalogue available,” said Krause. Podcasts won’t be part of Spotify’s launch in the MENA region, which means Spotify won’t be responsible for checking spoken-word content against local laws. However, Boller said Spotify took that decision because it wants to “be 100% locally relevant” – in other words, local podcasts could be added at a future date. Likewise, video content is missing at launch in the MENA region, but could follow later. The company is hopeful that today’s launch will be a success for Spotify. “Look at the very-young population and the increasing penetration of smartphones and data services. The addressable market is definitely huge,” said Krause.